High­ Tech Down to the Smallest Molecule. Effectively avoid odours. The body perspires during physical activity that can often lead to unpleasant odors. Traditional sportswear often does not help to prevent body odor. Skin NODOR® is a climate-activated nano-filament which incorporates an inorganic, bacteriostatic ingredient in its interior. The gradual release of ions, which are activated by body heat, is the key to the effectiveness of Skin NODOR®. These ions inhibit the growth of microorganisms rather than eliminating them outright, thus preserving the delicate balance of the skin‘s ecosystem. In other words, Skin NODOR® is bacteriostatic (i.e. 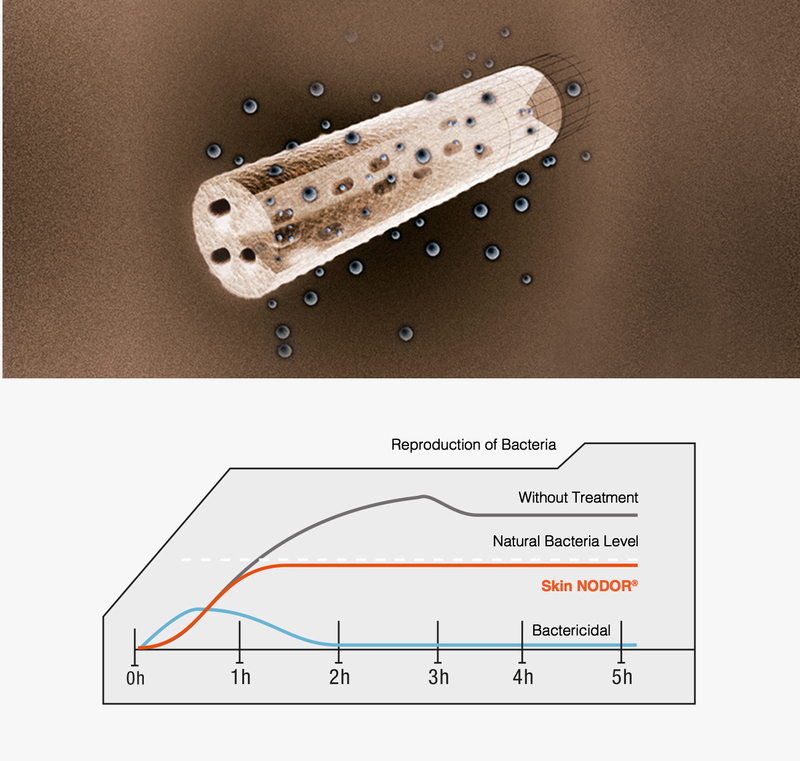 it inhibits bacterial growth), rather than bactericidal (bacteria-killing). Therefore, allergic reactions do not occur. Skin NODOR® is especially soft and breathable and provides superior fit. Special high-tech fibre effectively reduces bacterial growth and odour formation through skin-neutral ions.